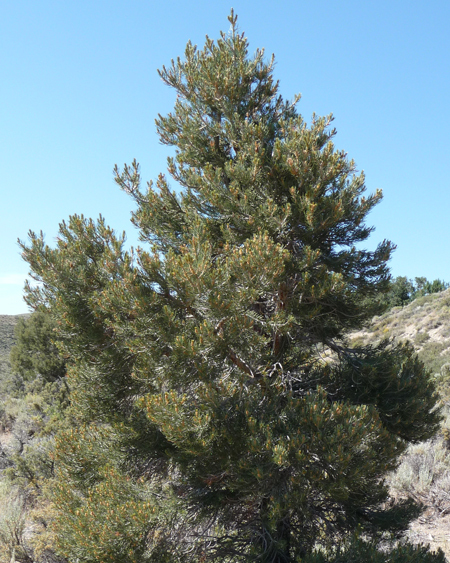 The world's only single-needle pine is a rustic, slow-grower and is native to the American southwest and Mexico. This small-medium tree grows very slowly, reaching up to 60 feet in the wild, but probably only reaching 15 feet in your lifetime. It boasts a noble, pyramidal to spreading shape, and the bark is irregularly furrowed and scaly. The needles are almost always found single (can be found in pairs...), around 2 inches long, gray-green to strongly blue-green with a delightfully aromatic fragrance. Cones emerge a light green color and mature to yellow-buff. When tree is mature (5-20 years old), it will begin producing large, edible seeds that are cherished among Native American tribes and wildlife. The annual harvest of pine nuts in the United States weighs in at over 1 million pounds, second only to Pecans. Seeds are important wildlife food for several songbirds, quails, squirrels, chipmunks, black bears, and mule deer. Plant in full sun. Tolerates drought, alkaline soil, and clay. Prefers sandy soils with adequate drainage. 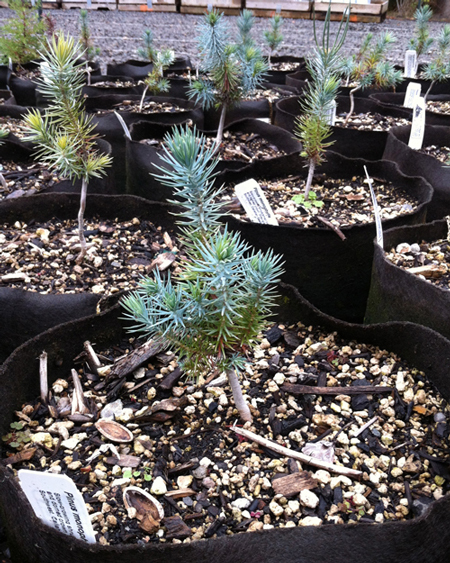 Use in a native species or wildlife garden, as a specimen, windbreak, or live Christmas tree!